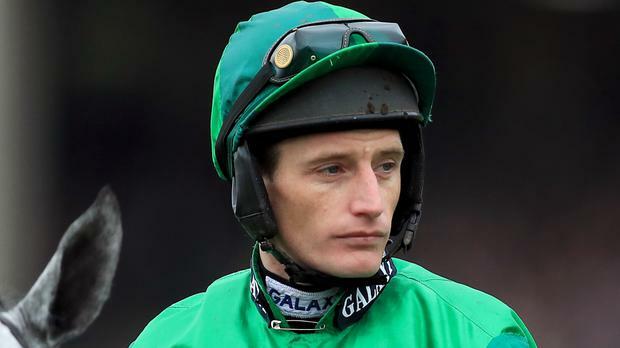 Rarely has a four-runner race attracted as much intrigue as tomorrow's Betfair Tingle Creek, and Daryl Jacob sees no reason why the mighty Altior cannot be dethroned in the race of the season thus far. Nicky Henderson's superstar is unbeaten in nine starts over fences - and undefeated since April 2015 - but the reigning two-mile champion chaser faces three outstanding rivals in the Sandown Grade One. Altior is the 8/11 favourite but Wexford jockey Jacob is confident that his mount, Alan King's Sceau Royal (5/1), can spring a mild surprise following his impressive Shloer Chase success. Jacob also has the utmost respect for Willie Mullins's Un De Sceaux (9/2) and Harry Whittington's Saint Calvados (6/1) in a star-studded field which boasts 16 Grade One victories between them. "Sceau Royal has been in good form and has come out of Cheltenham really well so we're all looking forward to it," Jacob told the 'Racing Post'. "It looks a great race and any of the four could win. Altior is a very, very good horse and our horse will have to improve if he is going to beat him but it will tell us an awful lot more about where we are and where we need to go. "We were just looking to get the horse back on the track at Cheltenham last time. "But he won really well so it was a great result and we were all very happy. On ratings his win on this day last year - the Grade One Henry VIII Novices' Chase - would be his best performance and he seemed very good that day so it will be good to take him back." Ruby Walsh takes the mount on 2016 Tingle Creek victor Un De Sceaux, which will his be first ride across the Irish Sea since breaking his leg at the Cheltenham Festival in March after a fall from Al Boum Photo in the RSA Chase. Meanwhile, there were seven different winning jockeys and trainers at Clonmel yesterday with Rachael Blackmore maintaining her slender lead at the head of the Irish jump jockeys championship. Blackmore took the opening maiden hurdle on Smoking Gun (9/4 favourite) for Joseph O'Brien to bring her tally to 62 winners over jumps for the season but former champion Paul Townend (61) is hot on her coat-tails. Townend scored aboard Neptune fourth Scarpeta (1/2 favourite) for his boss Mullins in the Jim Strang & Sons Kilsheelan Hurdle while Gordon Elliott's Western Honour (2/1 favourite) got off the mark over hurdles at the seventh time of asking.